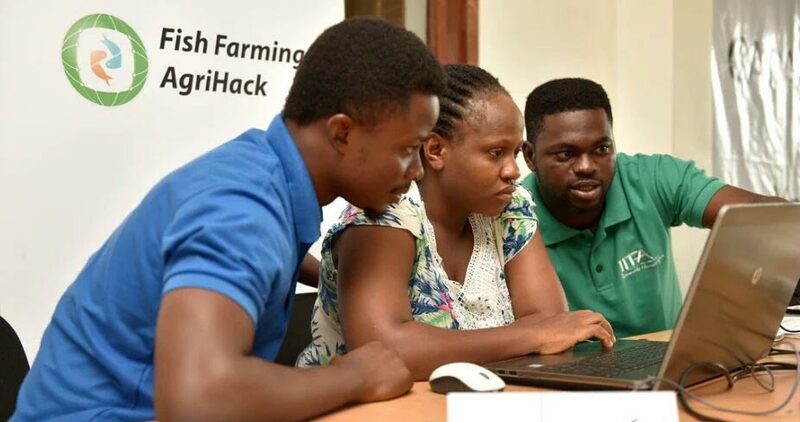 A community-based fish farmers’ web application developed by the Abuja IITA Youth Agripreneurs (IYA) was judged the best during the semifinals of the Fish Farming Agrihack West Africa 2016 competition. The contest was organized by The Technical Centre for Rural and Agricultural Cooperation (CTA), the Netherlands, in partnership with Wennovation Hub (Ibadan), Partnership Initiative in the Niger Delta, PIND (Warri), Etrilab (Benin Republic), and Woelab (Togo). Called Fished Up, the app was built to solve three major constraints faced by African aquaculturists by providing fish farmers with real time access to markets and technical support and also solve the problem of advocacy. The technology works by linking fish farmers to an online fish farmers’ community that enables interaction and discussion on various predefined topics ranging from market price, feed, government policies, pond management, diseases, and best practices that affect fish farming. It also provides an online marketing platform that exposes fish farmers to a wider range of markets and an inclusive online platform comprising aqua organizations and government agricultural agencies to ascertain impact of government policies, advocacy, and technical support. The IYA Abuja team was represented by Ayobami Fajemisin, Oluwasegun Afolabi, and Omotayo Okoh. IYA Abuja was shortlisted out of 3,000 applications and subsequently took part in the competition, which comprised several stages and lasted from 2 to 6 August. 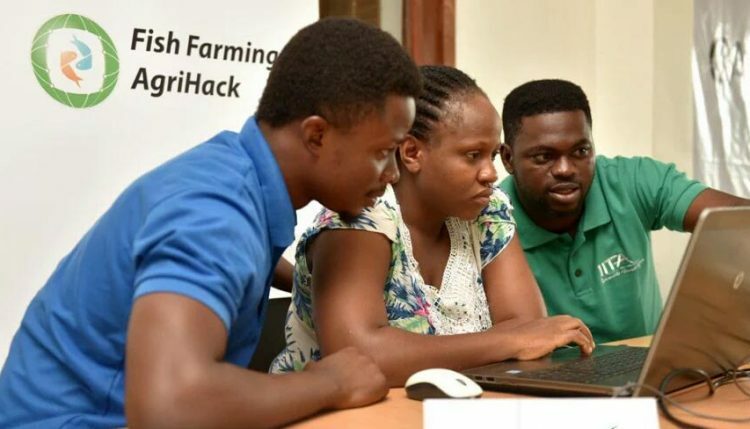 The competition aimed at using information technology innovation to solve challenges in the fish farming value chain of Nigeria, Benin Republic, and Togo. It was held at PIND, Warri, Delta State and drew about 50 youth groups which keenly contested to win the coveted €1850, five-month incubation, and other prizes, using their respective innovative IT solutions for fish farming. The organizers presented the IYA Abuja team with souvenirs in a formal ceremony. Thereafter, the team went for the next stage (immersion) at Ugboko, Warri’s biggest fish farm cluster. The team then proceeded to a 48-hour Hackathon which took place at the PIND-Economic Development Centre (EDC). The organizers subsequently offered a $5,000 cash incentive to IYA Abuja for their participation in the research survey component of the competition, “among nearly 3,000 ventures we surveyed around the world. Congratulations!” an email from the organizers stated. On his part, Fajemisin described the competition as an eye opener. “I learned of so many ideas that could be useful in agriculture especially through ICT. The competition made me realize the relevance of ICT in agriculture. I could actually pick up a career using ICT in agriculture; ICT is part of the value chain which can be a profitable business opportunity. We never had such a big platform to pitch our ideas to, so the competition was a learning process for us. We learned how to defend our ideas. It was enriching”, he said. Very impressive.Hope same can be done for Poultry and crop farming.Very well done !